Isn't she pretty? Our new house is almost three times bigger than our old house. 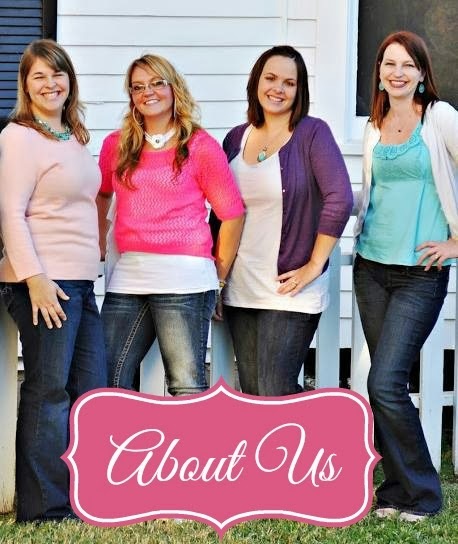 In fact, the basement alone is only 200 square feet smaller in size than our entire house in Houston. Crazy! 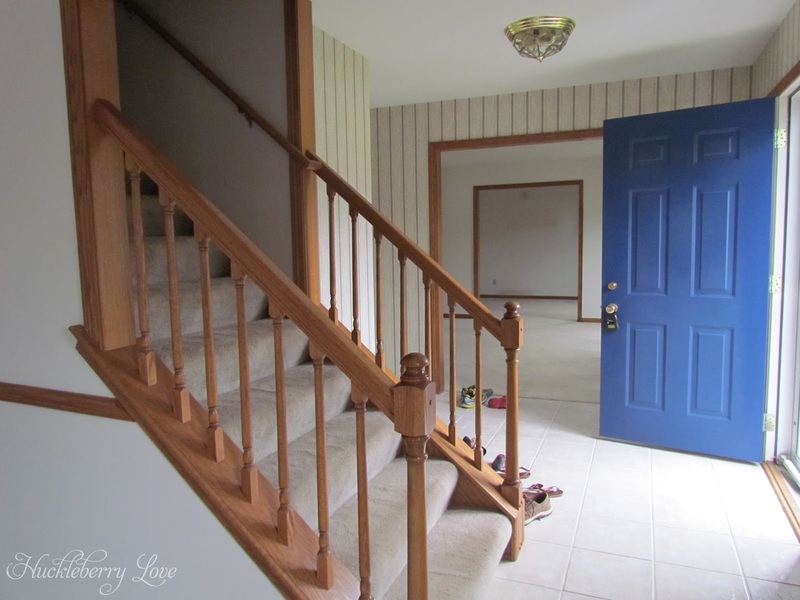 The foyer, kitchen, laundry room, half bath and first floor hallways all have this beautiful ceramic tile flooring. I absolutely love it and don't plan on ever getting rid of it! Just past the front door (mind the wallpaper, ha ha!) 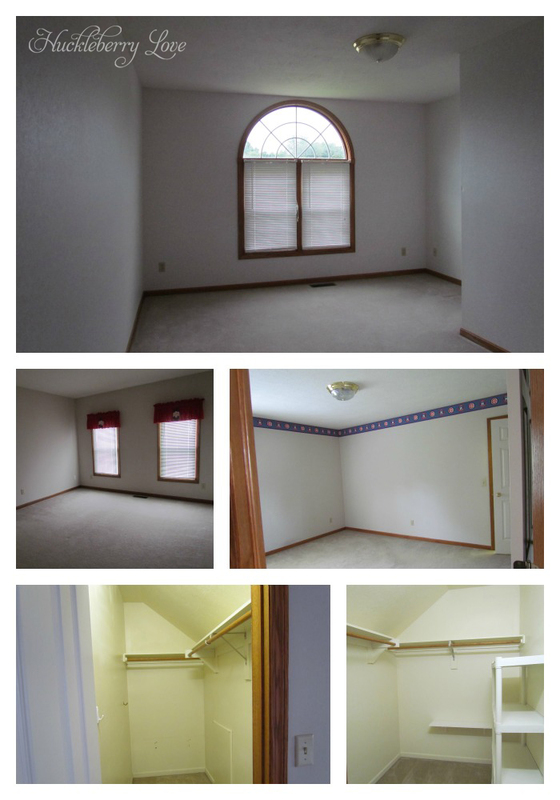 in the picture above is the living room, which has a doorway into my future craft room. I am over the moon excited to finally have my very own craft space! No more working at the kitchen table for this Mama. 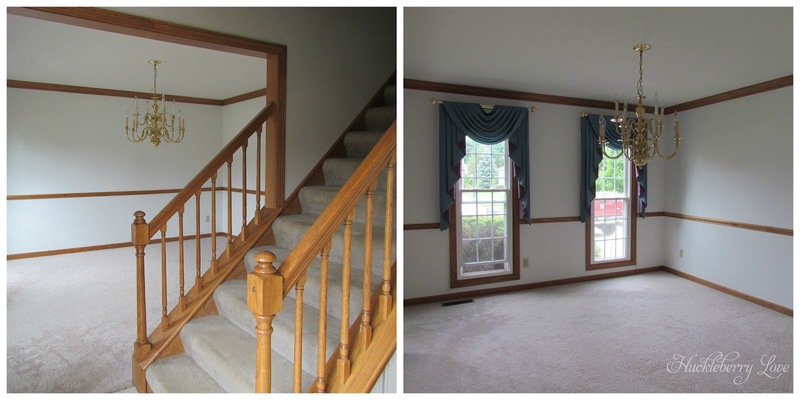 On the other side of the staircase is the formal dining room. We currently don't have a dining room table (as there was no dining room in our previous home), but we're on the look out for something large and rustic looking. Let me know if you have any ideas as to where I can find a good table! 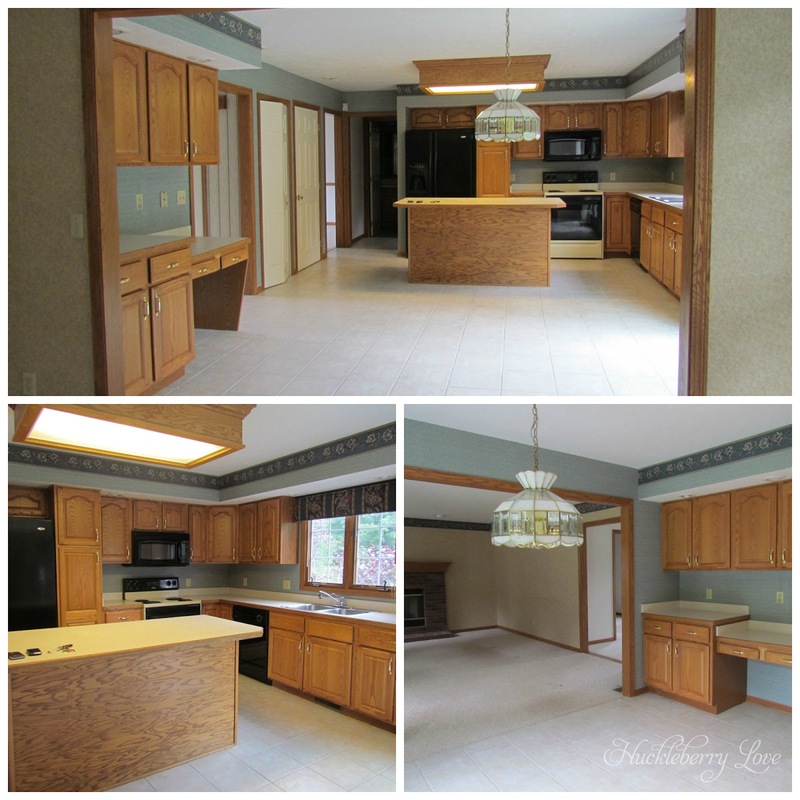 Off of the dining room is the center of the home, the kitchen! My husband jokes that I finally have my "big girl" kitchen. This space is HUGE. I'm in love with all of the cabinet space, the extra large island and the built-in desk. 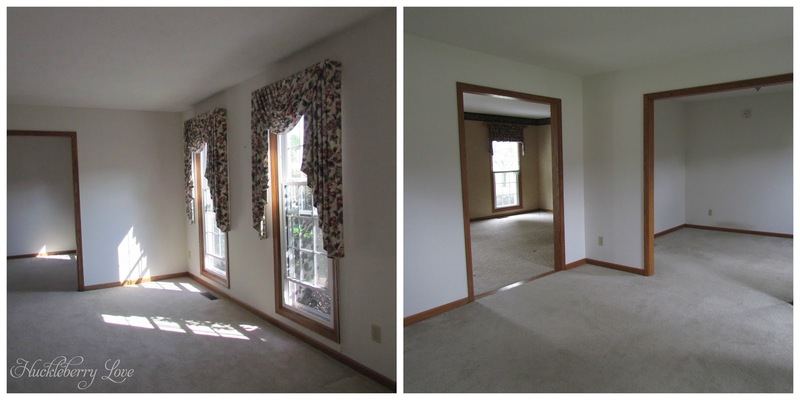 We'll eventually give this room a huge overhaul, but for right now we just plan on stripping the wallpaper, replacing the light fixture, as well as updating the hardware on the cabinets. One thing at a time, am I right? Here's our basement. It's a blank slate, which is awesome, yet also a bit daunting. This space is HUGE and we're very excited to make it our own. 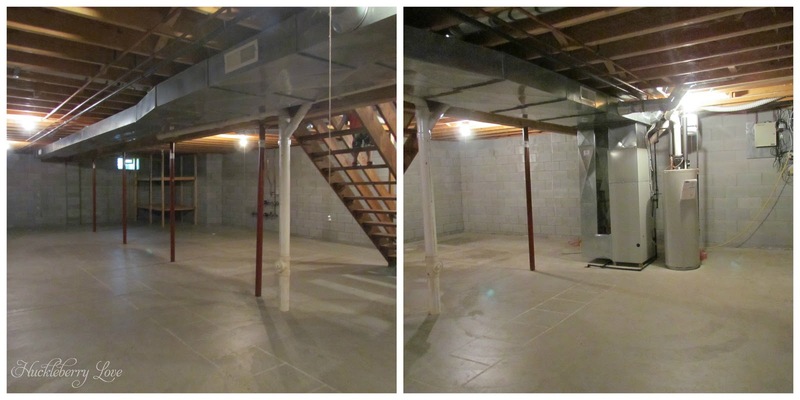 Initially we wanted to buy a home with a finished basement, but the thought of finishing our basement to just the way we'd like it is thrilling! 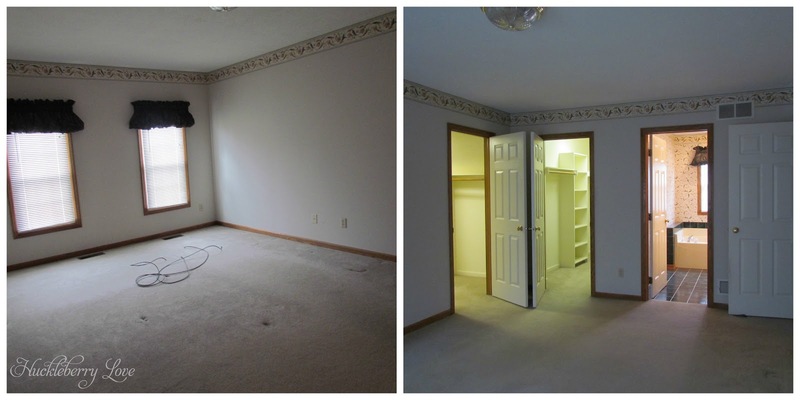 The secondary bedrooms are all nice, big rooms. We wanted enough space for the kids to be able to play in their rooms, so that toy clutter would be kept to a minimum in other parts of the house. 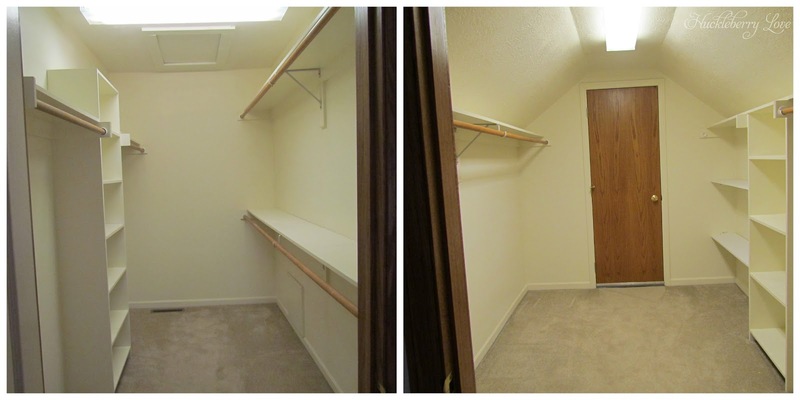 Not only are their rooms good sizes, but their closets are HUGE! 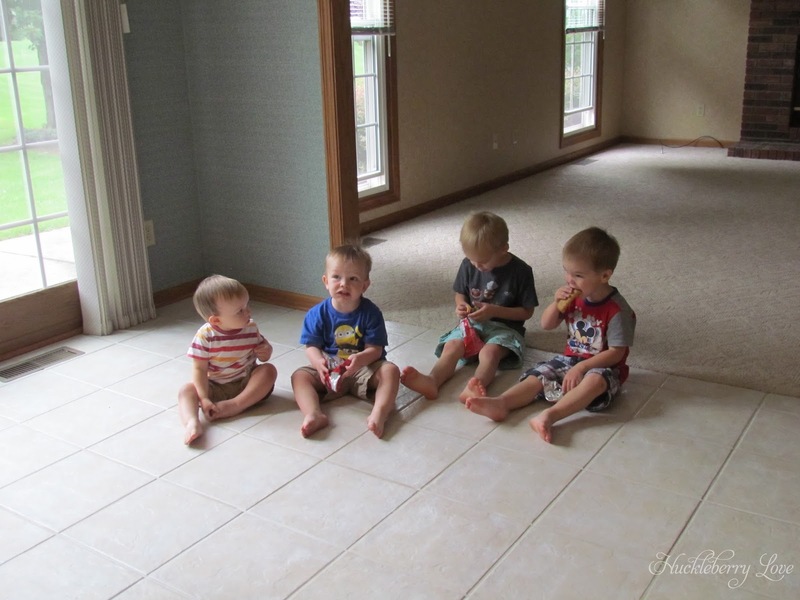 The boys were so excited to pick out their rooms and are right at home in their new spaces. And, they LOVE to play upstairs, which is wonderful. But then we walked into the master bath. Whomp, whomp, whomp. It is decked out in the ugliest wallpaper in the entire house. Let me just tell you, this stuff is BUSY! 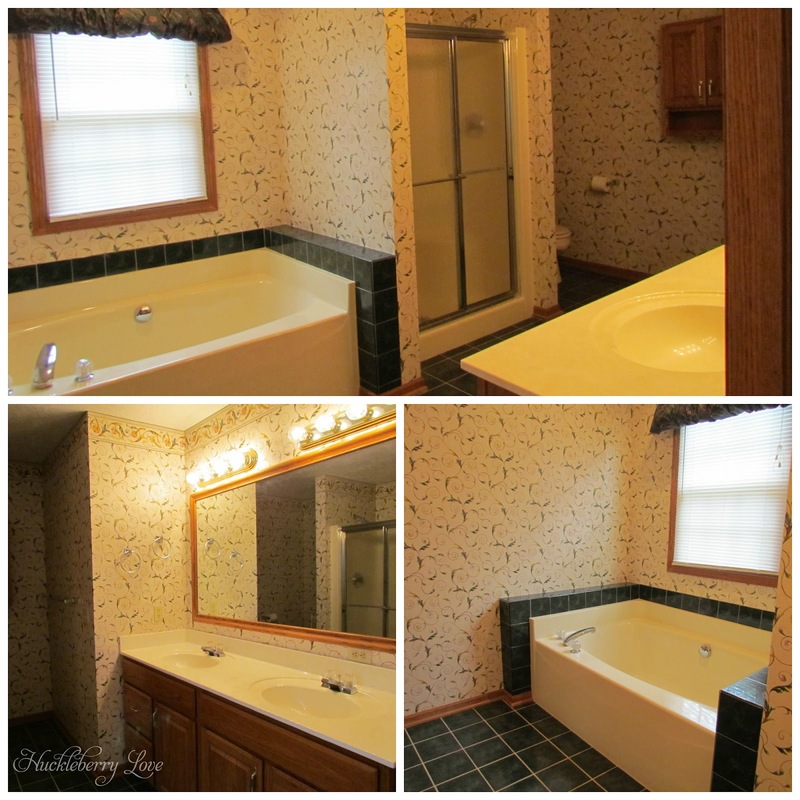 The bathroom is a great size and we love the space, but the wall paper and the dark green tile are a bit of an eyesore. We're excited to revamp this bath and put our own touches into the room, but we'll have to save up some money before we tackle this project. And finally, the backyard. It's green, lush and beautiful. We spend most of our time out here, as the weather is still summery. The boys love running around, playing in the trees and causing general mischief. 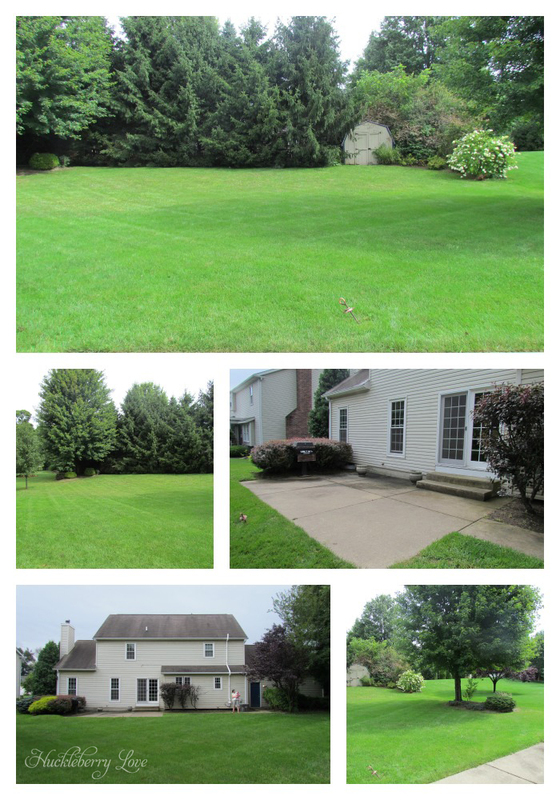 We'd eventually like to rip out the bushes, tear out the existing patio and replace it with a new one and add a deck. Again, that'll be someday down the road. This is the third house that we've bought in 8 years. And we finally feel like it's the one for us. This is the house we know we'll raise our family in. This is the house our kids will come home to on college break and the ones that we'll entertain our family and friends in for years to come. It's such a remarkable feeling to know that we're finally home. It is a wonderful house Emily! 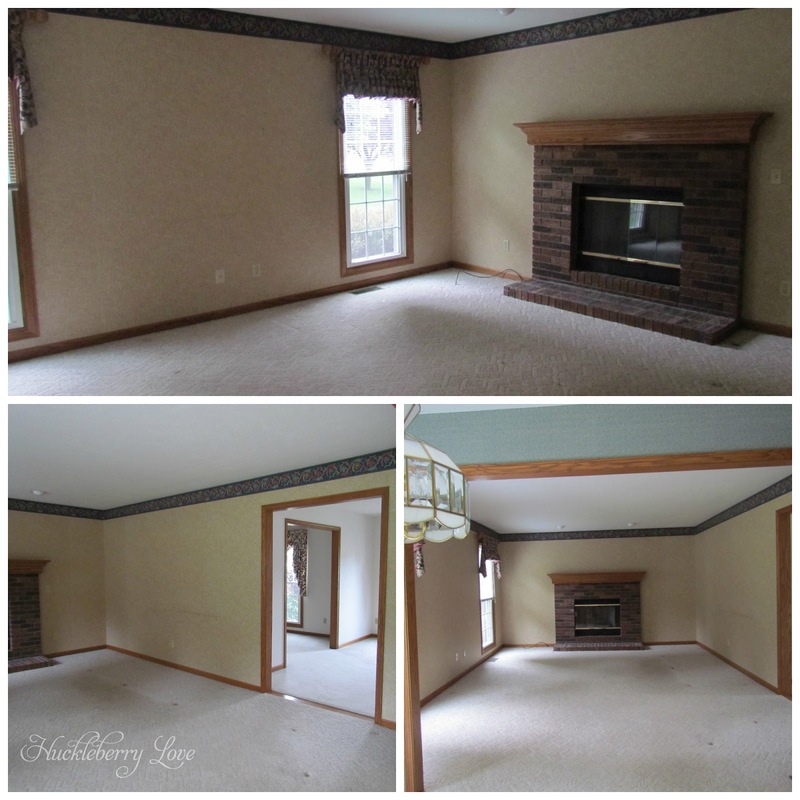 You are going to have so much fun turning it into a home! WOW! The house is huge and so pretty! I can't wait to see all the amazing plans you have for it! There is so much space! Moving is a lot of work, but can be lots of fun!! I didn't see the craft room... :-) Thanks for sharing!